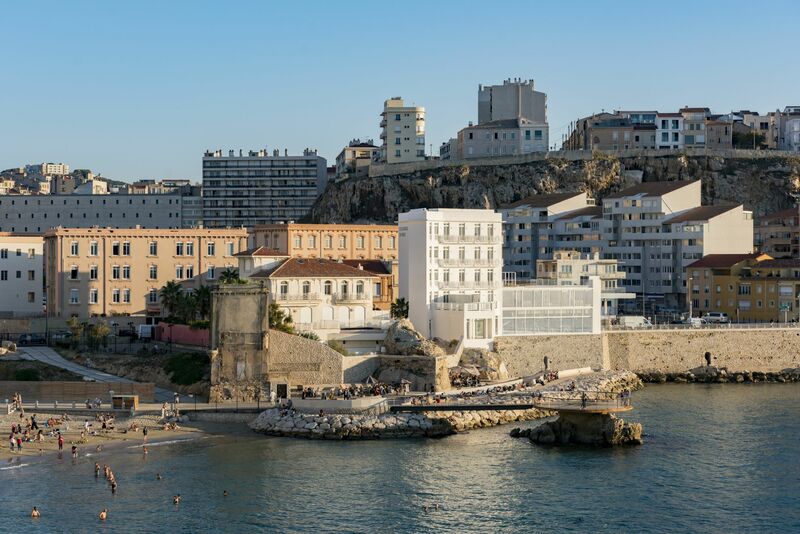 Once known as the Richelieu, it’s an art deco residence with a breath taking view of the Mediterranean and the Iles de Frioul. Located just 5 minutes from the picturesque old port, you can have lunch on the sunny rooftop which boasts one of the most beautiful views in town. The restaurant is offers a great selection of healthy Mediterranean cooking and seafood. The patio just above the beach is another dining option for lighter fare and snacks. Local architect Yvann Pluskaw is the designer behind the renovation of this 19 room hotel with a landmarked graphic facade. Overlooking the crystal waters, somewhere between sea and sky, the bar, spa, sauna, fitness room, steam room and indoor heated pool all face the sublime swimming pool of the champion Cercle des Nageurs swim club. Why do we love it? There’s even a heated pool on the rooftop!